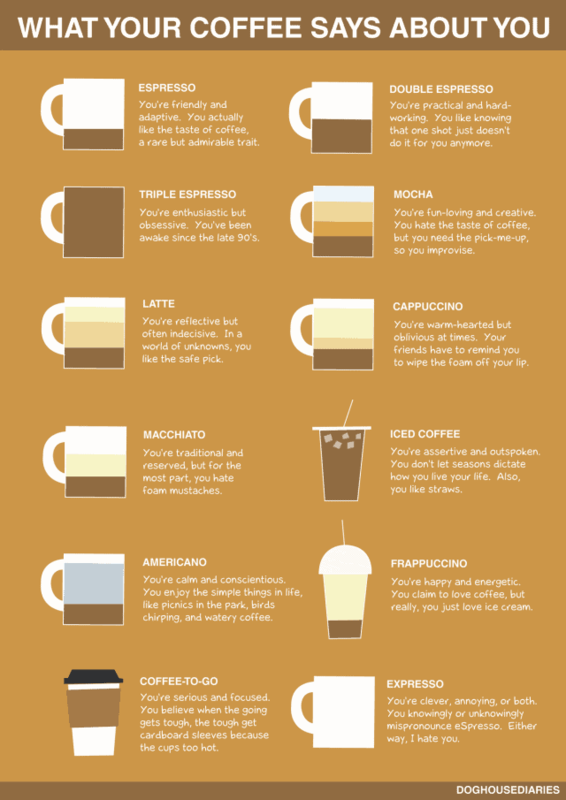 What Does Your Choice in Coffee Say About You? A friend of mine posted this from Japan. I thought it was cute. Not sure if I agree with all of them, but it’s a fun chart! Check it out for yourself, then go get your favorite drink from your favorite shop. All rights to the article and picture are the sole property of DailyInfographic and NOT this webpage. Enjoy! I dig it!! Mochas all day (although slowly graduating to espresso). I am a straight black coffee! Boring but straightforward!